Speculate aims to identify stocks that tend to fly under the radar — perhaps due to the fact that they don’t suit the risk-averse investor, or simply because they are small, emerging, potentially 'next big thing' stories where the market-moving news is yet to break. Finfeed will be looking to uncover such stocks on a weekly basis. Speculate often features relatively new companies or ones that are on the cusp of making their mark. While this week’s stock has only been listed on the ASX for just over a year, it has a world-renowned industry presence as an unlisted company, and is in the process of quickly growing revenue and earnings from an established client base. Audinate Group Ltd (ASX:AD8) was founded with a vision to revolutionise professional and commercial audio for the 21st century. It is headquartered in Australia and has regional offices in the US, UK and Hong Kong. The company’s award winning Dante audio over IP networking solution is the worldwide leader, and is used extensively in the professional live sound, commercial installation, broadcast, public address, and recording industries. Dante replaces traditional analogue audio cables by transmitting perfectly synchronised audio signals across large distances, to multiple locations at once, using nothing more than an Ethernet cable. This technology, in turn, powers products available from hundreds of leading audio partners around the world, including Yamaha, Bose, Sony and Sennheiser. As a developer of chips, modules, cards and software, the company provides an end-to-end solution for original equipment manufacturers (OEMs), essentially bringing IT revolution to the audio-visual space. While there has never been any question about Audinate’s technological ability in its niche field, as demonstrated by its big brand following, the group still had to prove itself as a public company. This has meant delivering on prospectus forecasts, substantially growing revenue and earnings, providing share price gains, and maintaining a steady ship in terms of fiscal management. It ticks all of these boxes — this, in a sense, poses a question as to why the company would be considered a speculative stock, particularly given it is currently trading at a 200% premium to its IPO price. Firstly, Audinate only listed on the ASX in June last year, and, as with most innovative manufacturers, a significant proportion of capital needs to continually be invested in research and development, as well as the manufacturing process itself. As a supplier to multi-billion-dollar OEMs, smaller companies often have to accept payment terms that may result in lumpy cash flows due to a significant gap between the cost of development and manufacturing and payment for the end product. Large OEMs can also hold the upper hand in terms of negotiating pricing, and it is quite often the case that suppliers are price takers rather than price makers. So, these issues need to be thoroughly examined, particularly given that Audinate is fairly early in its earnings cycle as a public company — but at this stage, it is fair to say its report card is looking pretty impressive. Using Audinate’s prospectus as a benchmark, the company’s performance in fiscal 2018 couldn’t be faulted. Revenue of $19.7 million, representing growth of 30% was ahead of the prospectus forecast of $18.6 million. Statutory net profit was $2.5 million, compared with a fiscal 2017 loss of $20.4 million. EBITDA of $600,000 is arguably the best measure for companies where there is significant expenditure in product development, and this was well ahead of the prospectus forecast loss of $1.2 million. Operating cash flow of $1 million was particularly strong, given the early-stage position of the business. Total expenses increased 34% to $14.1 million, reflecting the increased headcount to drive new product initiatives, as well as additional sales and marketing spend, on top of public company costs. 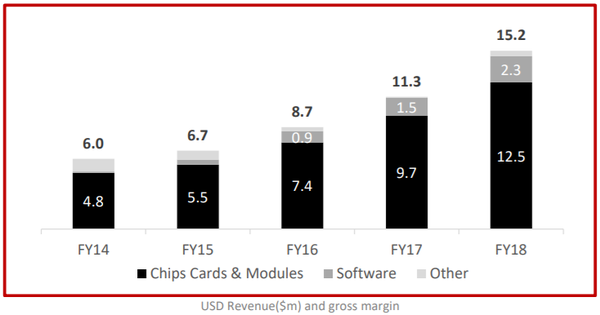 US dollar revenue growth was underpinned by a 38% increase in shipments of Dante chips, cards and modules, as well as a 58% increase in units of software and royalties. Consistent with the prior year, gross margins remained strong at approximately 75%. This is particularly important, given the aforementioned issues that some OEM suppliers can experience in terms of being beholden to pricing pressures from the big corporates. 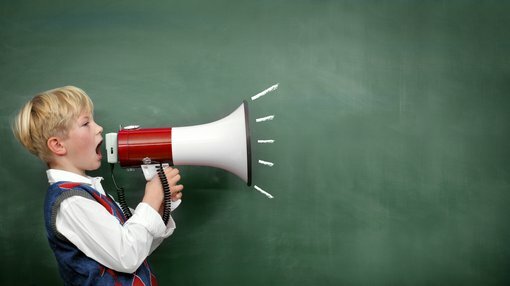 Essentially, it is an endorsement of the Audinate’s premium product, its market leading position and competitive power. Dante enabled OEM products available for sale increased to 1,639 products at 30 June 2018, up 39% from 1,182 at 30 June 2017. Sales of chips, modules and cards shipped in fiscal 2018 were up 38% to approximately 248,000 units. The group continues to grow the number of OEMs adopting Dante to 438 manufacturer brands as at June 30, 2018, up from 369 at 30 June 2017. In addition to sales of chips, modules and cards, Audinate also generated software and royalties – 150,000 units of software were sold in 2018, up 58% from 95,000 units for 2017. Audinate also successfully launched Dante Domain Manager and a range of Dante AVIO adapters in the second half of 2018. The initial sales of these products, moreover, exceeded the A$0.7 million prospectus forecast for FY18. The company also demonstrated a video prototype at InfoComm in June 2018, which is expected to be launched commercially by the end of FY19. Audinate continues to invest in the development of the Dante video solution, and this is likely to provide an additional revenue stream in the future. Management highlighted the fact that the rollout of Dante Domain Manager and AVIO adapters continues, indicating that they should make a strong contribution to revenues in fiscal 2019. Commenting on the company’s performance in fiscal 2018, and the foundation this has provided for the coming year, chief executive Lee Ellison said: “We are very pleased with the performance and execution of our growth strategy that delivered a set of results exceeding the Prospectus forecasts we set for FY18. “We are enthusiastic about Audinate’s continued strong growth prospects over the next twelve months. The performance of the company, as well as management’s positive outlook statement, has no doubt been responsible for its strong share price performance since listing on the ASX. Audinate has always traded at a significant premium to its IPO price of $1.22. After trading in the vicinity of $1.60 within a month of listing, the company’s shares surged 170% to hit an all-time high of $4.32 twelve months later. A recent retracement to about $3.50 appeared to be related to extreme global market volatility in October, and this could represent a buying opportunity. Consensus forecasts certainly suggest this is the case with the 12 month price target of $4.60 as at October 31 2018, taking into account the company’s strong result and the impact of market volatility.